I’m Bruno Dias, a writer and narrative designer working on independent games and media. I’ve written interactive fiction, worked as a game and narrative designer, and even done some amount of game programming. My work ranges from traditional fiction writing to consulting on narrative design and story to designing and building systems for procedural and dynamic narrative. Do you have a project that needs narrative design, dialog or world writing, or expertise on procedural narrative? You can reach me through email or other means. A return to the strange, grim world of a 2005 cult classic. Helping give the English localization the same level of poetic depth as the original Russian has been one of my favorite projects. 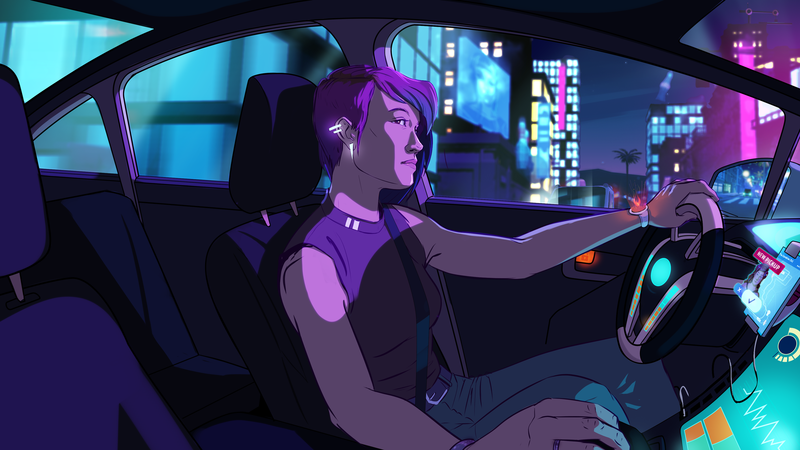 A neon-drenched vision of labor and human relations in a future taken over by the gig economy; an emotional survival game. I wrote about 30 folk tales for this anthological story-game, alongside over 20 other writers exploring the thematic (and physical) vastness of America. Nominated for Excellence in Narrative at the IGF awards. 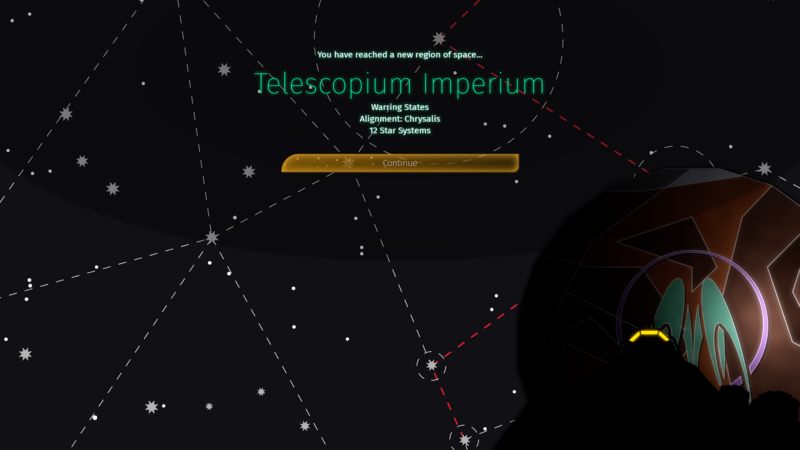 Voyageur is my take on the space exploration sim game, a narrative-driven story generator about following the trail of humanity's diaspora across the galaxy and meeting the societies that emerged from it. A history of interactive fiction told from the viewpoint of the dungeon as a narrative device. The fascination and thrill of watching Battlegrounds streamers. Characterization and player-NPC relationships in Blendo Games' Quadrilateral Cowboy. 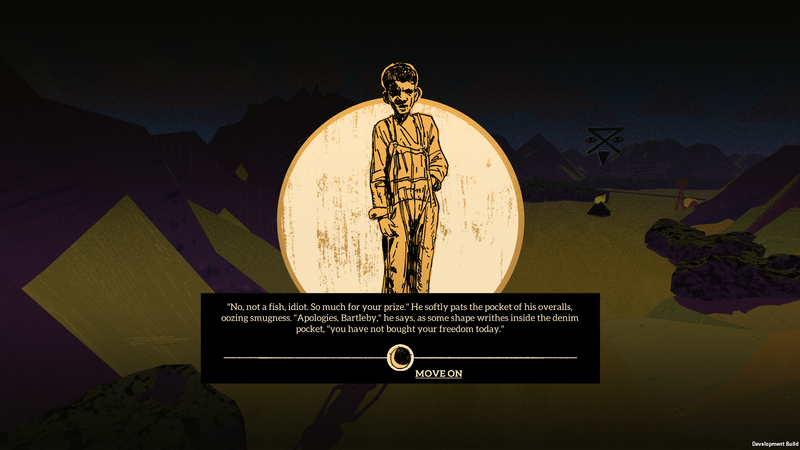 A feature on the 2016 edition of the Interactive Fiction Competition. Is Casual Overwatch Better in Silence? The pitfalls of communicating to strangers in an action game. How Dark Souls III copes with being a sequel. 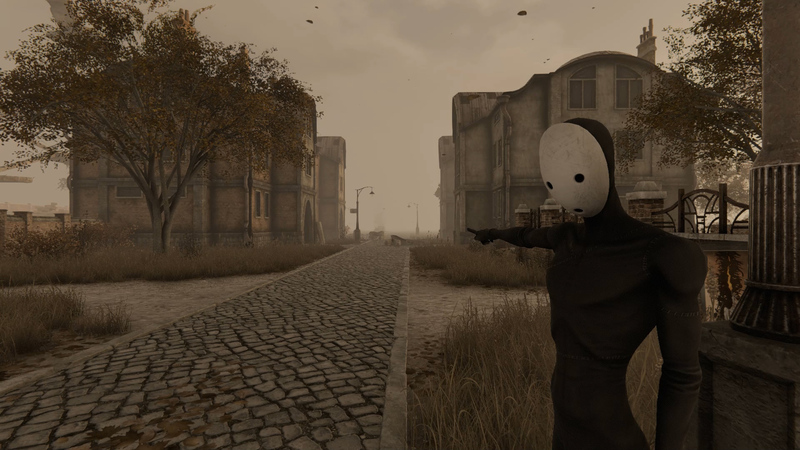 The tangled relationship of architecture to death in video games. The thing about sinking is: the sea is not a void. If you're sinking, you're displacing something. A dark, fantastical recasting of the Orphic myth. A near-future superhero story from a subaltern point of view. An interactive adaptation of Poe's The Masque of the Red Death. Radicalized hedge-witches in an urban landscape. Labor disputes and social struggle in a mining colony in Mercury.